The Peruvian people have absolutely no concern for time. As for me, time has absolutely flown by, and I keep wishing that it would just slow down, or that I would develop the Peruvian way of looking at time (which is to completely ignore it). 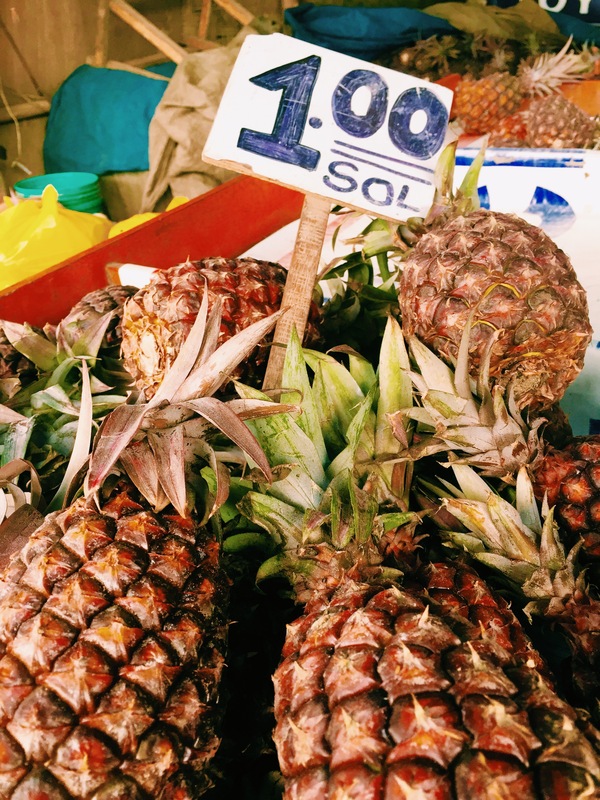 I am at the half way point in my journey; as I write this post I have been in Peru for 22 days and have 21 more days to go. 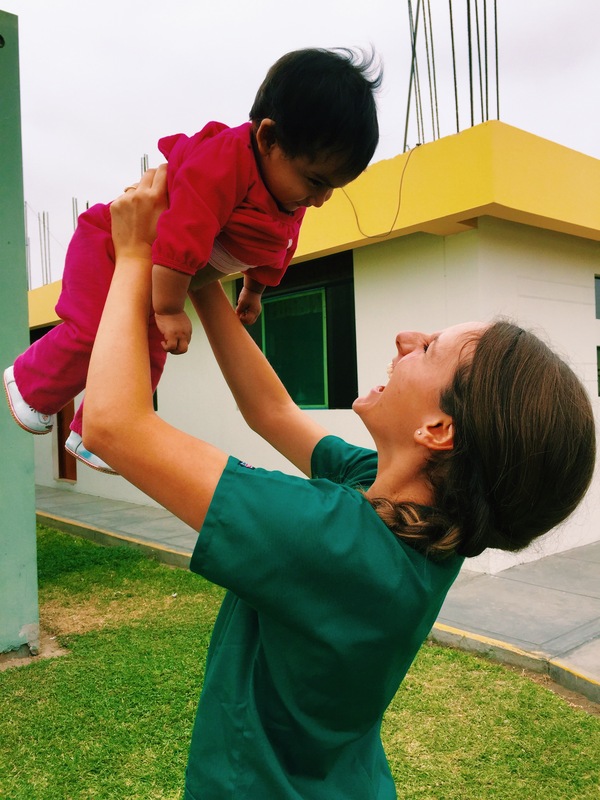 My desire to stop the clock has made me realize how important it is to cherish and savor each and every moment that I have here in Peru whether it be in the clinic, in the barrios, or even in my downtime with the Sisters, people at La Casa and the workers at la Maternidad. On Monday night I attended their wedding. 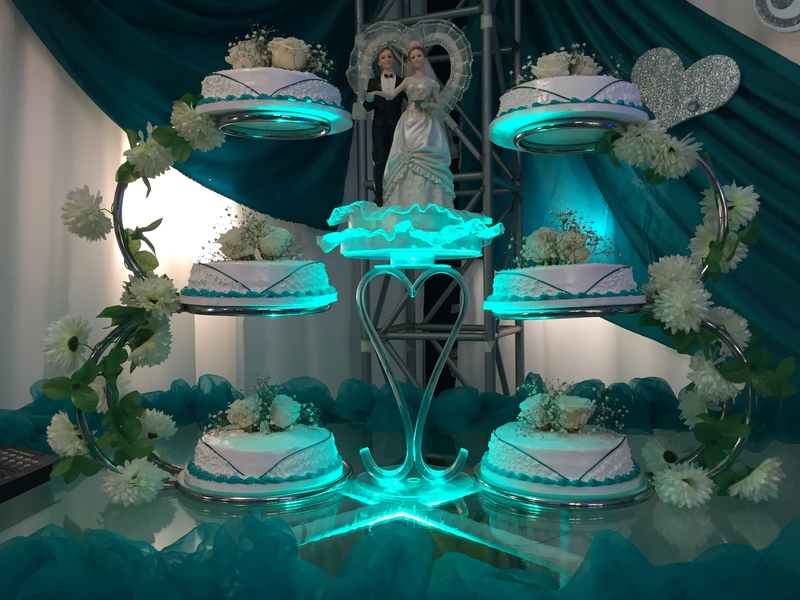 The invitation stated that the wedding ceremony would be held at 7, so the three Americans (Sisters Margaret Mary and Lillian and myself) showed up promptly at 7 to find that we were the first to arrive and that they were still setting up for the wedding. People started coming in around 8 and the wedding only began at 8:45. Incase you don’t know me well, I absolutely LOVE weddings. Growing up my Friday nights were dedicated to TLC’s wedding night and I would always be found watching the latest episode of Say Yes to the Dress. I loved every moment of their wedding (even the time spent waiting for it to start!) 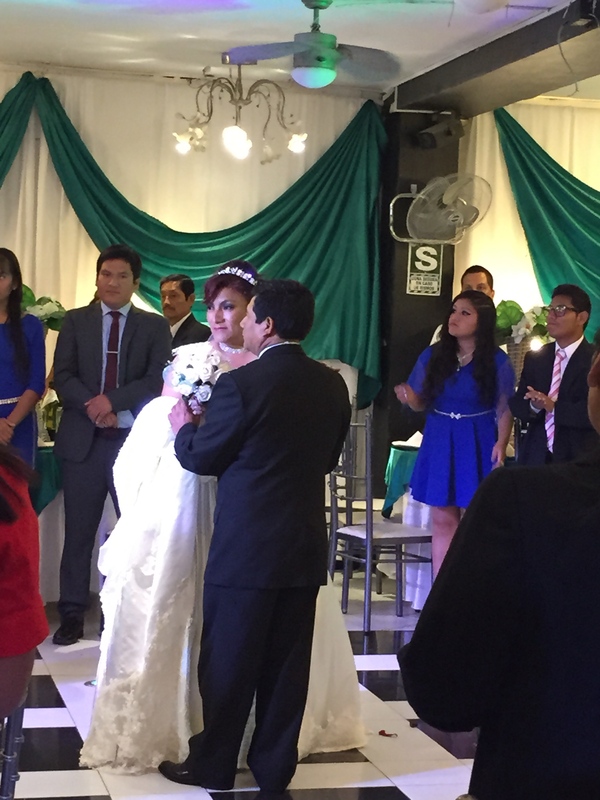 and am so very glad that I was able to share in their special day and watch them tie the knot! Life at the clinic has been just as exciting as my night life. Each day is a new adventure and presents itself with new places and new faces. On Friday I went food shopping with two of the workers. Now it wasn’t Whole Foods, but it was an absolutely amazing experience. The market is about four city blocks long, and is completely outdoors. We had a two page list of things that we needed, and spent 3 hours walking through the alleys bargaining with the vendors. 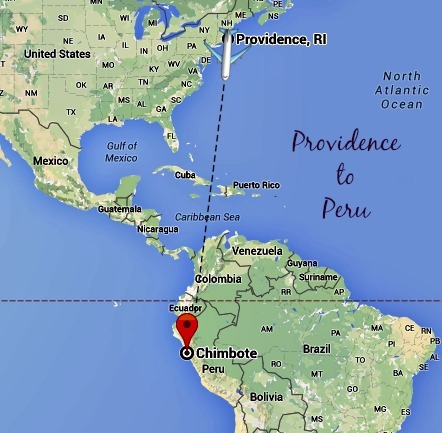 I have spent a lot of time traveling to different areas of Chimbote this week. 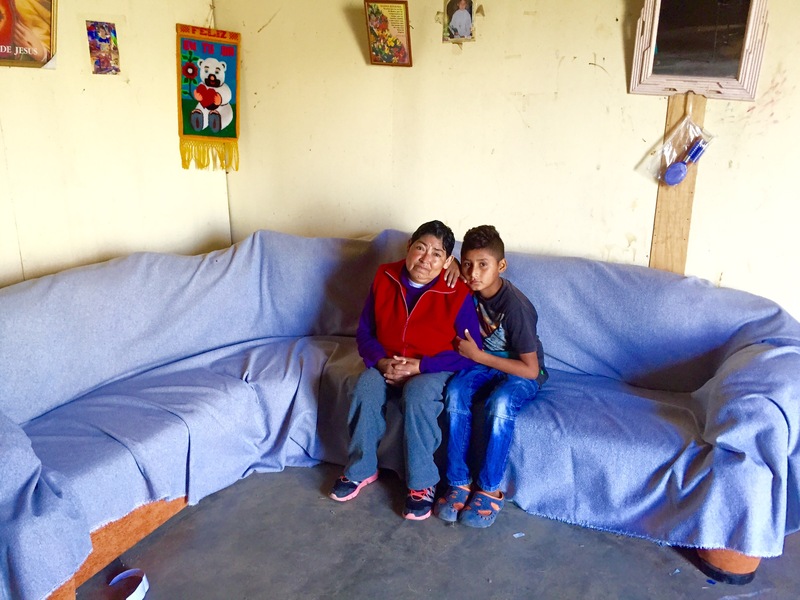 On Monday morning we traveled an hour away to Santa Rosa to bring blankets to three houses. There are no words to describe how these people live. 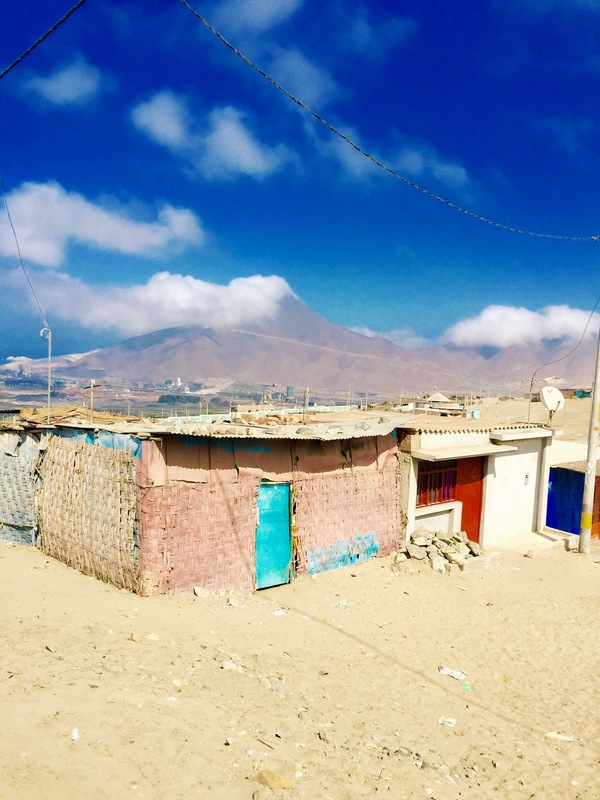 After three weeks in Peru I have become accustomed to seeing the bare minimum in their homes, but these houses were the worst I have seen. It absolutely broke my heart to see the way that they live, but I was able to bring them joy through the blankets as well as through stickers given to me by my Grandmother prior to my trip! 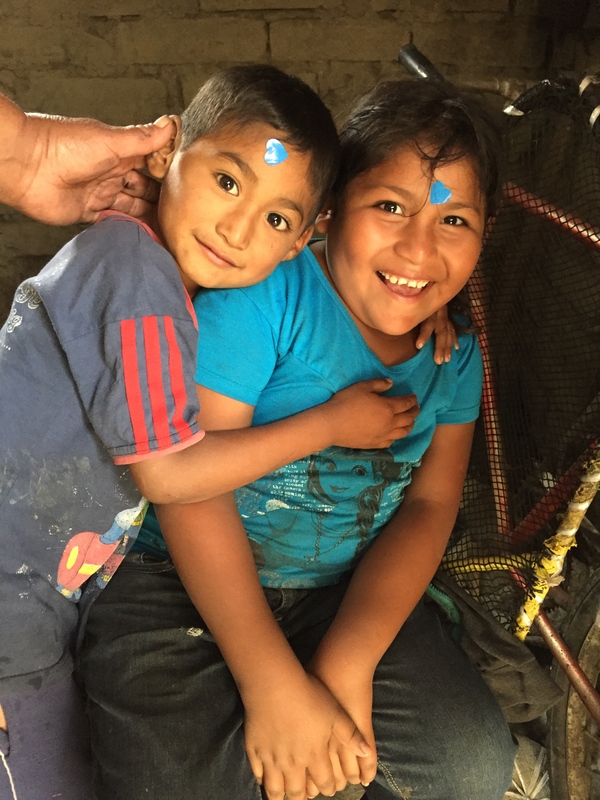 The children absolutely LOVE the stickers and it serves as a testament to how little it takes to bring joy to the life of a child. And of course my day wouldn’t be complete with out some time with Pedro. The only time that doesn’t fly is the hour with this little guy in my arms! Each day I find myself questioning “how can it get any better than this“? And then each day it gets a little bit better. I get a little more comfortable with my surroundings, speak a little more Spanish and witness something absolutely INCREDIBLE. Sundays are usually my day off. After Mass with the Sisters I returned to the Casa to rest. And rest is exactly what I did, until 11 o’clock when I was woken up to our cook pounding on my bedroom door. One of the workers from the maternity had come to the house to tell me that I needed to go to the maternity right away. I had no clue what was so important especially after I had just been there to visit Pedrito a few hours before. When I arrived I was greeted with a fiesta! 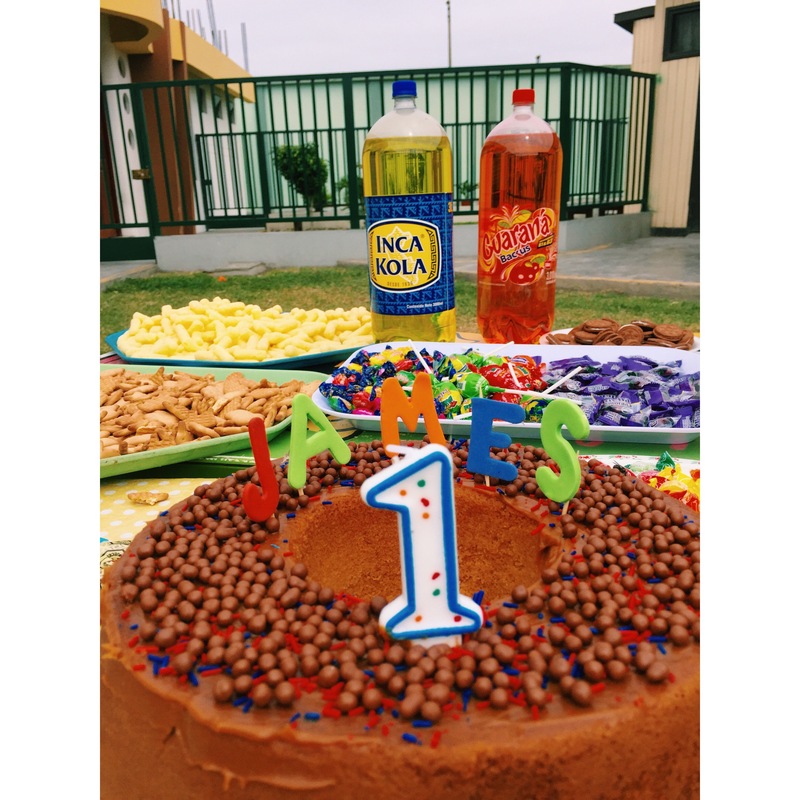 One of the orphans, James, is celebrating his first birthday on the 22nd and the children and staff had all gathered in the yard to celebrate his special day! The fiesta was huge, complete with music, professional dancers, cake and candy galore! After a wonderful celebration I headed to the beach with people from La Casa. It was my first time in the Pacific Ocean and the view was absolutely incredible. 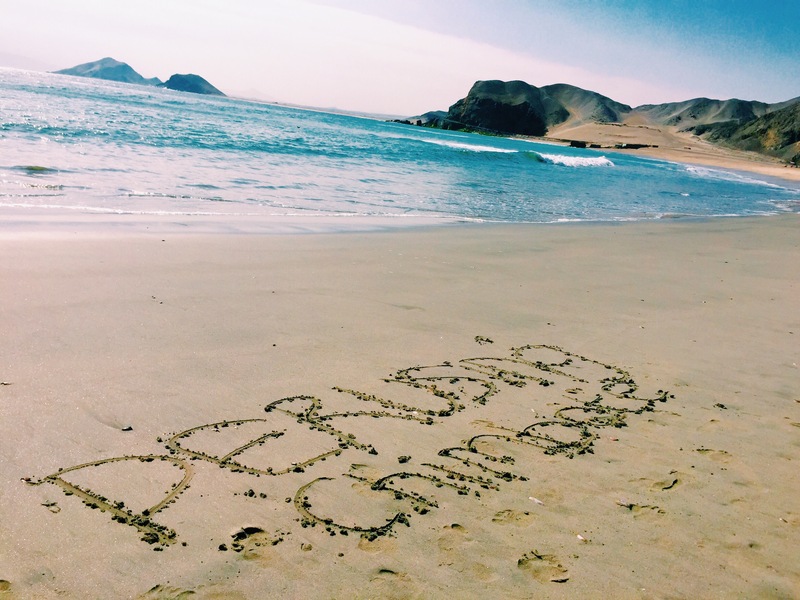 I throughly enjoyed reflecting on my week with my toes in the sand soaking in the warm Peruvian sun. Monday was another day of home visits. Ellie and I ventured into a different section of Chimbote called San Pedro. The houses that we visited were on top of a mountain and we had to climb up the mountain to reach them. It was quite the hike, especially when you have to carry up your medical supplies and donations for the families with you. I really appreciate the fact that the clinic does not simply care for the medical needs of their patients. 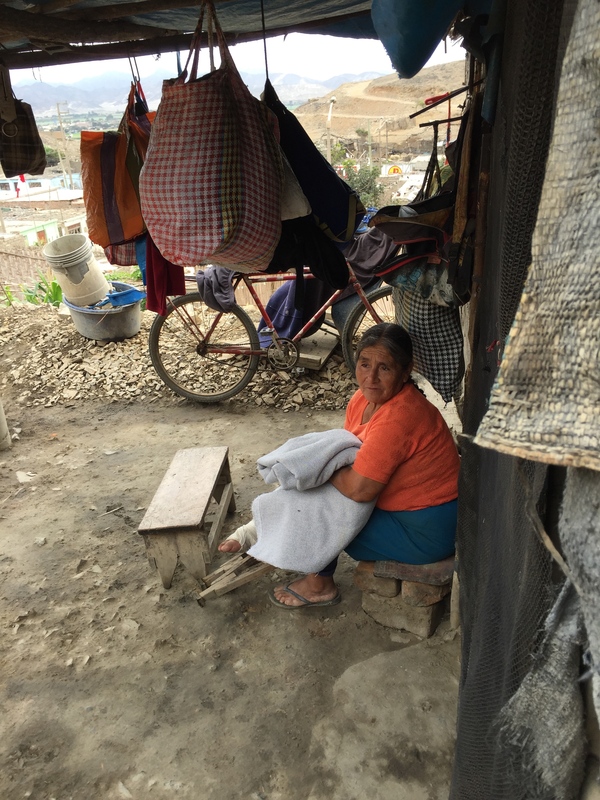 In addition to providing them with quality medical care they also provide clothing, bedding and food. The first house we visited is in need of new beds. 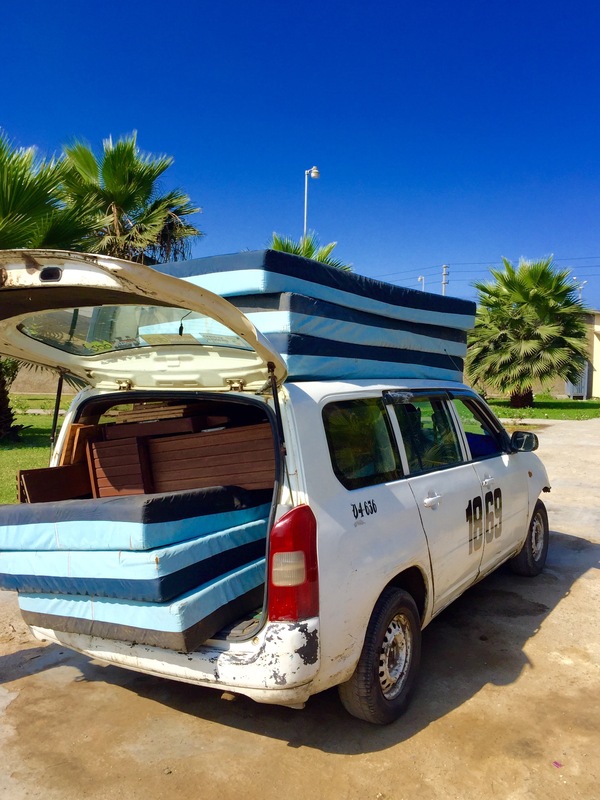 We made arrangement with the woman, who has horrible arthritis, to bring new beds to her later this week. Like every person I have encountered on the home visits, she was extremely grateful. 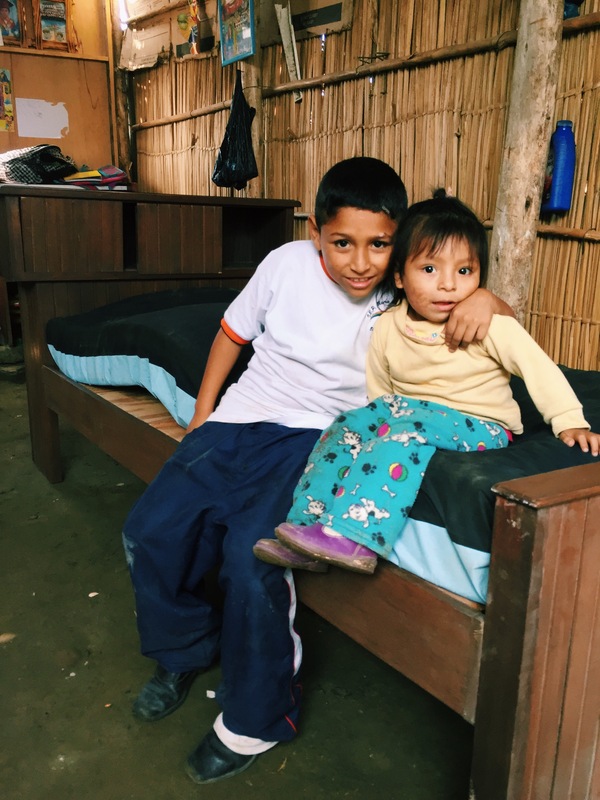 It is so hard for me to understand how they can be so grateful when they have so little, but yet the Peruvian people beam with gratitude for all that we do for them, and have so much pride for all that they have, although in most cases they have barely anything. The view from their houses was absolutely INCREDIBLE, which made the trek up the mountain so worth it! We visited several other houses, assessing their needs, and making arrangements to return with donations. Later that afternoon another INCREDIBLE thing happened: I witnessed my first birth. 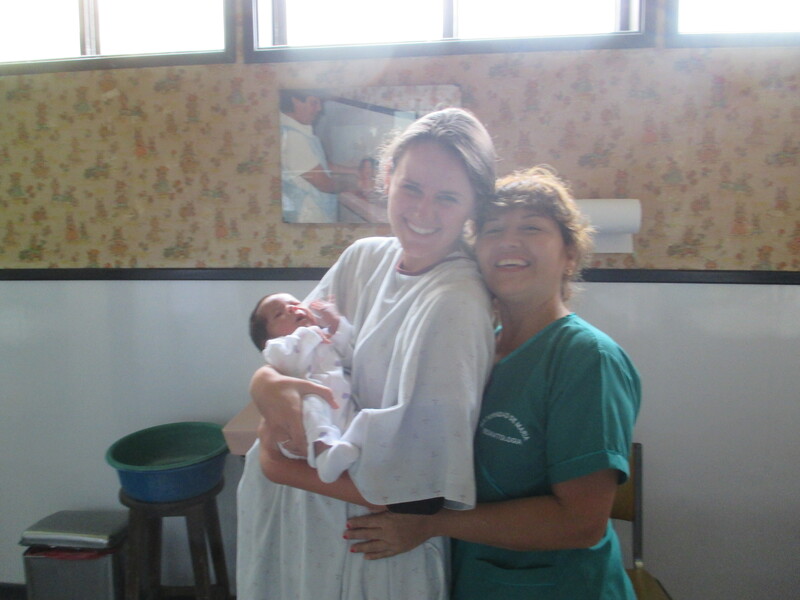 Mothers are constantly giving birth at the clinic, but I always seem to arrive too late to see the delivery. The nursing staff came to get me around 4 in the afternoon and I was able to be with the staff and the mother for the entire “process”. I was also able to step in and be of assistance during the delivery, and by “assistance” I mean I was told to close the windows in the room because I was the only one who was tall enough to reach them. The mother was so incredibly calm and gave birth to a little girl at 6:05. It was an absolutely wonderful way to end my day. On Tuesday I broke from my usual schedule and went on home visits again. We returned to the houses we had visited the day before with the supplies for the families. This time we traveled by car, thank goodness because there was no way I could carry a mattress up a mountain! Each morning I pray with the workers at the clinic. I have become very close to them in such a short period of time and love that we start each morning together. As part of the prayers (which I have now perfected in Spanish) we recite the mission statement of the center. 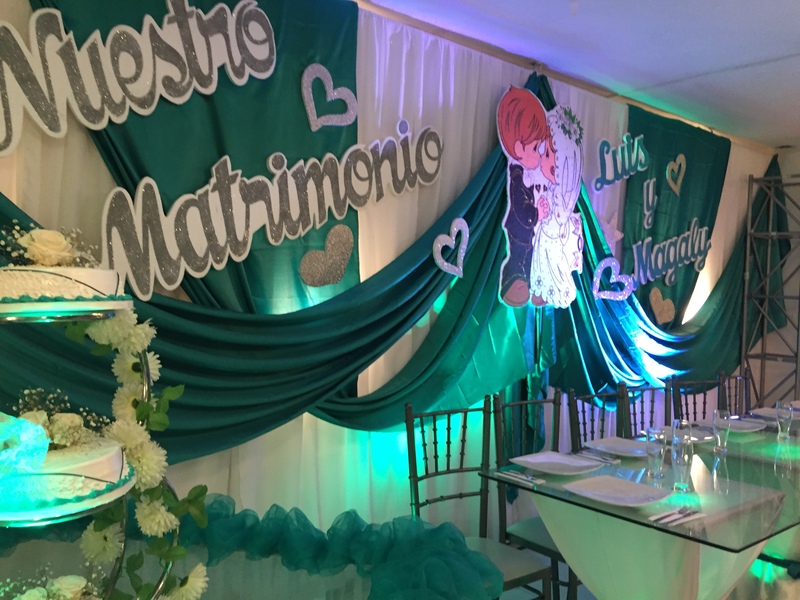 Pidamos de Dios , que El nos ilumine, que nos Guie y que nos Proteja para servir con AMOR CHRISTIANO con un ESPIRITU DE ALEGRIA creando un ambiente de AMOR y ESPERANZA. Let us ask that God enlightens us, guides us and protects us to serve with Christian love with a spirit of joy creating an atmosphere of LOVE and HOPE. 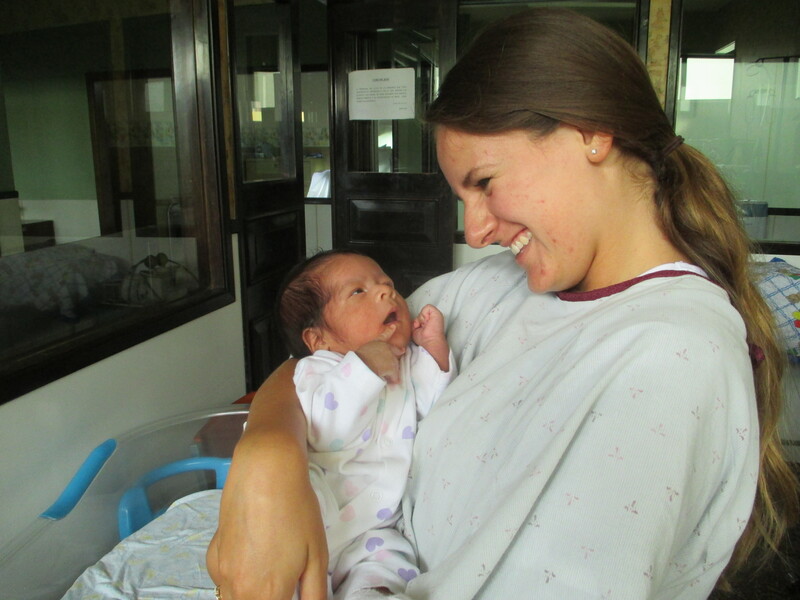 The Maternidad is truly an oasis of hope and love and I find myself to be blessed each and every day to be able to serve in such an incredible environment. And to answer my initial question, it can’t get much better than that. Over the past week I have found so much to be thankful for. I am grateful to have Sundays off. Today I am spending my afternoon basking in the Peruvian sun on the roof of the Casa. After my first experience with a Spanish washing machine, I am watching my clothes dry as they sway on the rooftop clothesline. I have this huge fear that something will blow off the roof and into the streets of Chimbote so I am currently keeping a close eye on them! I have found solace on this roof and have decided it is the perfect spot to reflect and come to understand all that has happened to me this week. I am thankful for the Sisters. Sister Lillian and Sister Margaret Mary are two of the most amazing individuals that I have ever met, and they are the perfect example of women who have gone above and beyond to answer God’s call. Each morning I venture with them to Mass prior to beginning our day at La Maternidad. They are so devout in their faith and have been so welcoming to me. This morning we traveled to a small little chapel which is about a 20 minute walk from La Casa. The Sisters like this Mass because it is at 9 (most churches in Chimbote celebrate Mass at 7) and allows us to sleep in, but also because it is a beautiful and vibrant service (nothing like I have ever seen back home). 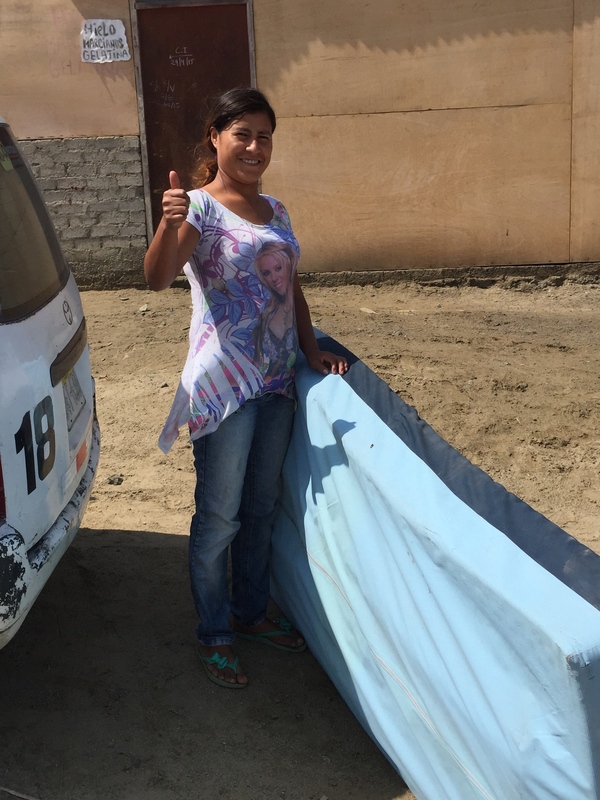 The people of Chimbote LOVE the Sisters, and have also welcomed me as one of their own. I am grateful for Mass as it gives me a time to reflect, a time to grow in my faith, and also grow closer to the Sisters. I am a strong believer that things happen for a reason. This week I met a group of individuals who I truly believe were placed in my life for a reason. 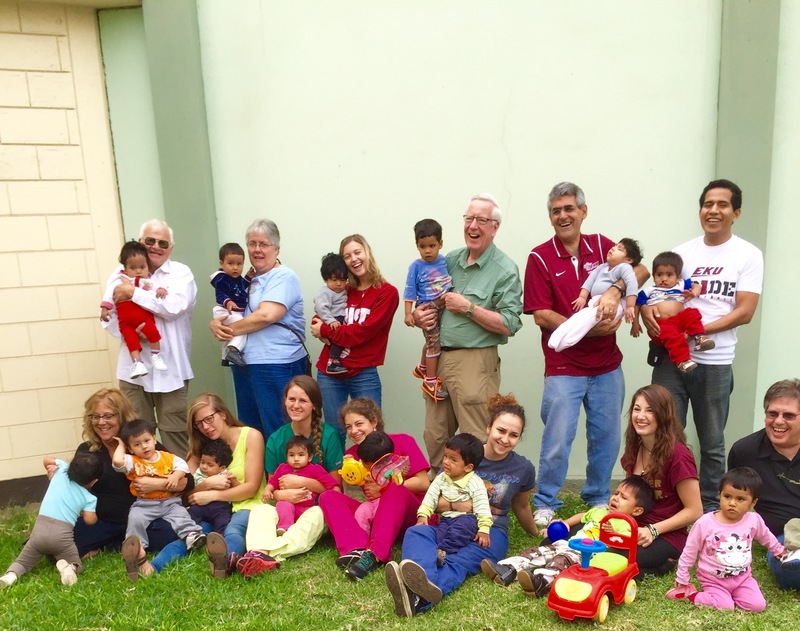 They were a group of ten Americans from the Diocese of Pittsburgh traveling on a mission trip to Chimbote. They were my guardian angels for the week; they welcomed me into their “family”as if I was one of their own and proved to be a constant source of strength and faith throughout my first week in Peru. 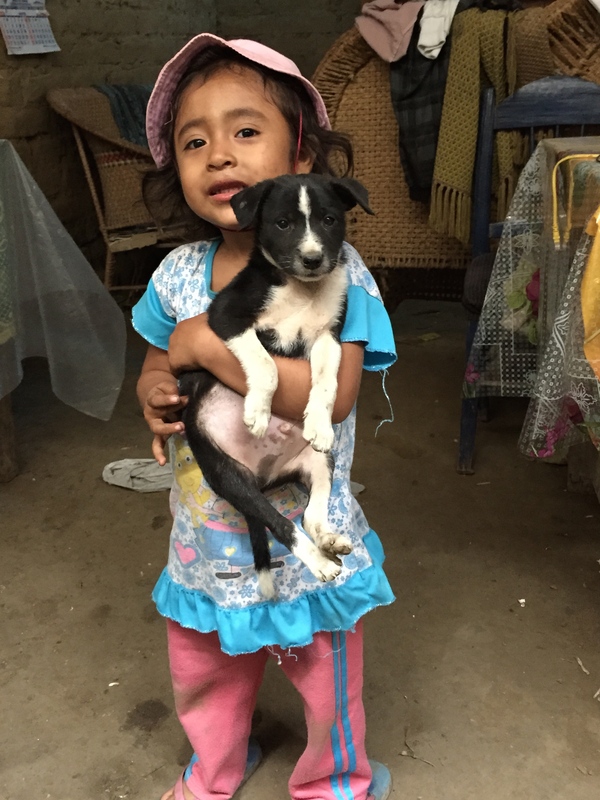 I wish to send lots of love and gratitude from Peru to my new friends back in Pittsburgh! I am grateful for the children at the orphanage, each day they steal an even bigger piece of my heart. Although all of the children deserve notice, there are two children whose stories have held particular meaning this week and I would love for you to know more about them. 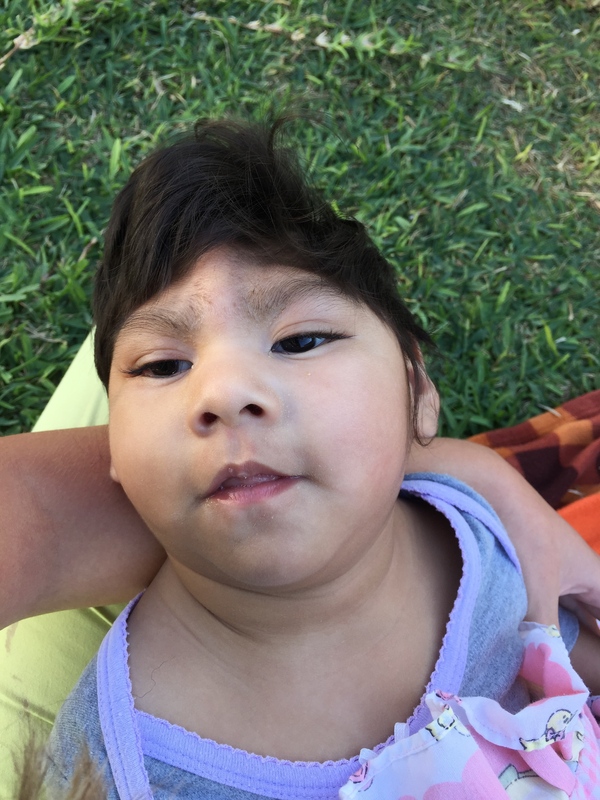 Luciana is a sweet one year old girl who was born with a brain deformity in which she only has half of her brain. She is mute and blind, some of the nurses believe that she is also deaf, but I tend to disagree. She has been able to see her first birthday due to the love and care by the staff at the orphanage. The nurses keep her clean, happy, and fed, and that is all this sweet girl needs. She also receives tons of love from me, I have come to think she enjoys being held in my arms as much as I enjoy holding her. 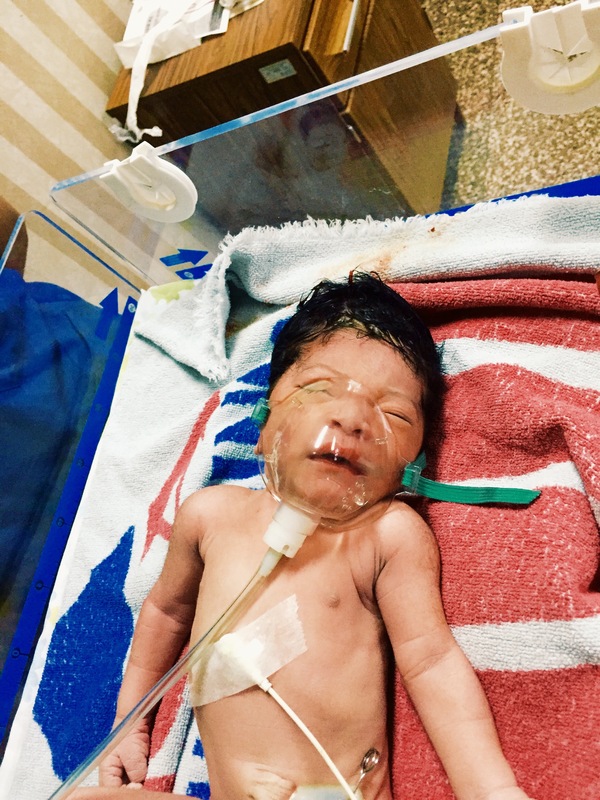 Peter, who is now 12 days old, is not in the orphanage but is new to the Maternidad and is currently in their neonatal unit. He was abandoned by his parents in a public bathroom in the middle of town. He was later found and brought to the local public hospital. He was transported to our clinic on Thursday. Later in the day I was able to hold him and bring him a brand new hat made with love from our family friend, Mrs. Lambert. I found it so hard to understand how someone could literally toss away something so beautiful, and am so grateful that he is now in the protective care of the Maternidad because I know that so very often Peruvian children like Peter are unable to get the love, care and attention that they truly deserve. Tomorrow I begin the next phase of my Peruvian adventure. After morning Mass with the Sisters I will be embarking on my first home visit. 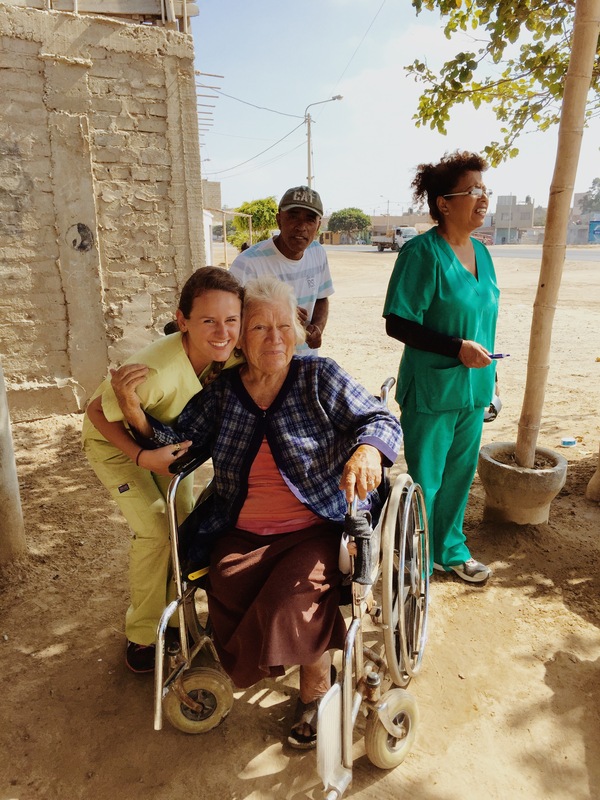 I will be traveling with the medical staff to the more impoverished areas of Chimbote (known as the Barrios) on Mondays, Wednesdays, and Fridays. On Tuesdays and Thursdays I will be working in the clinic and shadowing the on-site psychologist. 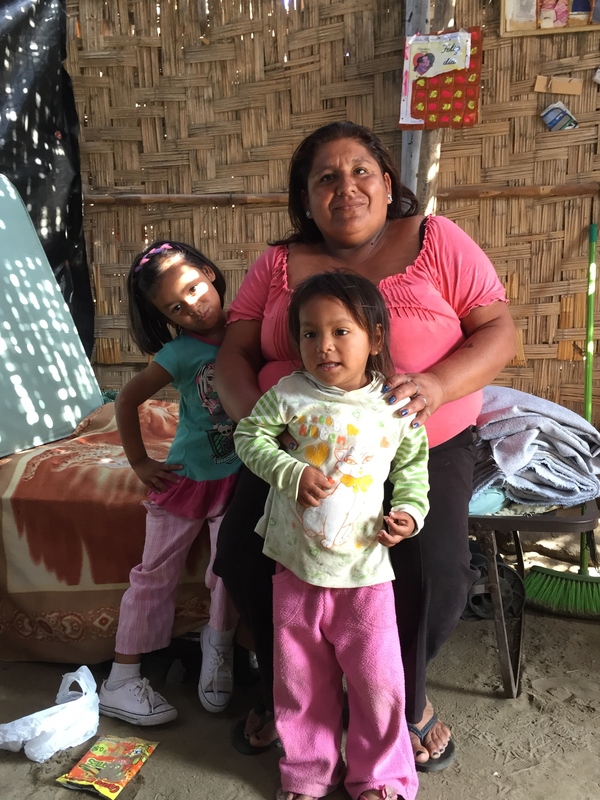 Mental issues are very prevalent here in Peru because there is a lack of available resources for patients who suffer from a mental illness, and the psychologist at the clinic is in high demand. On Saturdays I will return home to my babies at the orphanage. As you can see, my days will be very busy, but I wouldn’t want my time in Chimbote to be spent any other way. Saint Catherine of Siena once said “Be who God meant you to be and you will set the world on fire.” God has sent me to Chimbote for a reason, and I am eager and anxious to begin this next adventure and to set Peru ablaze with my love and compassion for these wonderful people. It’s hard to think that four days have passed since I boarded a plane in Boston and headed to Peru! Upon arriving in Peru, after a very long flight, I requested a taxi to take me from the airport to the bus terminal which is about an hour away. I got to the bus terminal around 7 AM and waited patiently for my 12:30 bus. Around 11:45 I began to get anxious, hoping that they would announce the arrival of the bus headed to Chimbote. People were lining up at one of the terminals and I decided to get in line with them. In broken Spanish I asked if this was the bus to Chimbote; it wasn’t. However a kind man (my guardian angel for the day) stepped in and told me that 1. I needed to check my suitcase in at the baggage claim and 2. I needed to wait 10 more minutes for my bus to arrive. 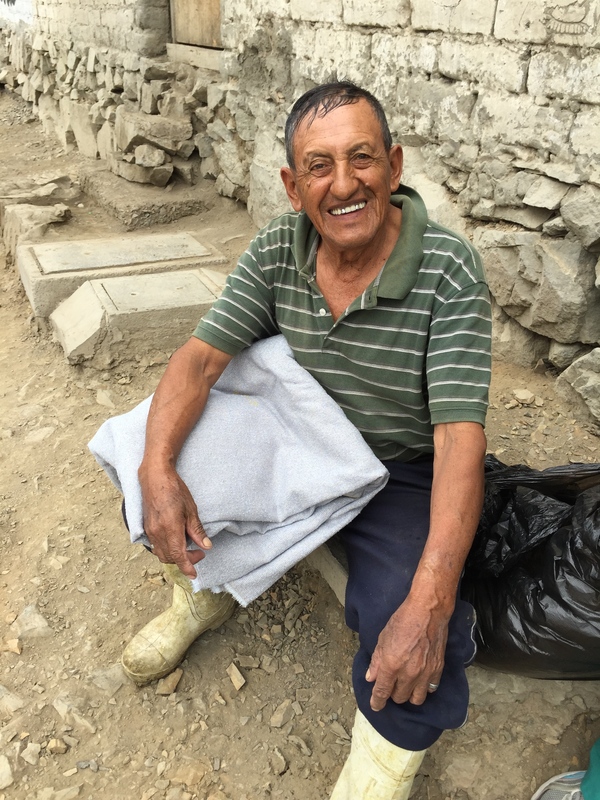 This kind man was ironically seated across from me on our 8 hour ride to Chimbote. I was greeted at the bus stop by Sr. Lillian and Sarah, a fellow American from Alaska who will also be working at the clinic through July and August. All of my fears were relieved knowing that I was safe at my destination and that I would have someone by my side who also spoke English. We took a cab to La Casa de Iglesia, a Diocesan Center, where I will be staying for the next two months. I was shocked at how spacious the Casa is, especially my room. For the first time in my life I have my own bathroom! Hey, when you’re miles from home its the little things that bring you joy and excitement (like bathrooms and large bedrooms). The next morning I began work at the Clinic. The Clinic, which I was able to tour today, includes an orphanage, a pharmacy, a laboratory, an outpatient clinic, a physical therapy unit and the maternity hospital. They serve over 1,000 patients a day, ranging in age from newborn babies to the dying elderly! When I arrive at 8 in the morning patients are already lining up to be seen by the nurses and doctors, it is an incredible sight to see so many people and to see the care that the center provides! Our days start at 8 AM and we work until 6, taking a small break for lunch around noon. This week I am working in the orphanage. 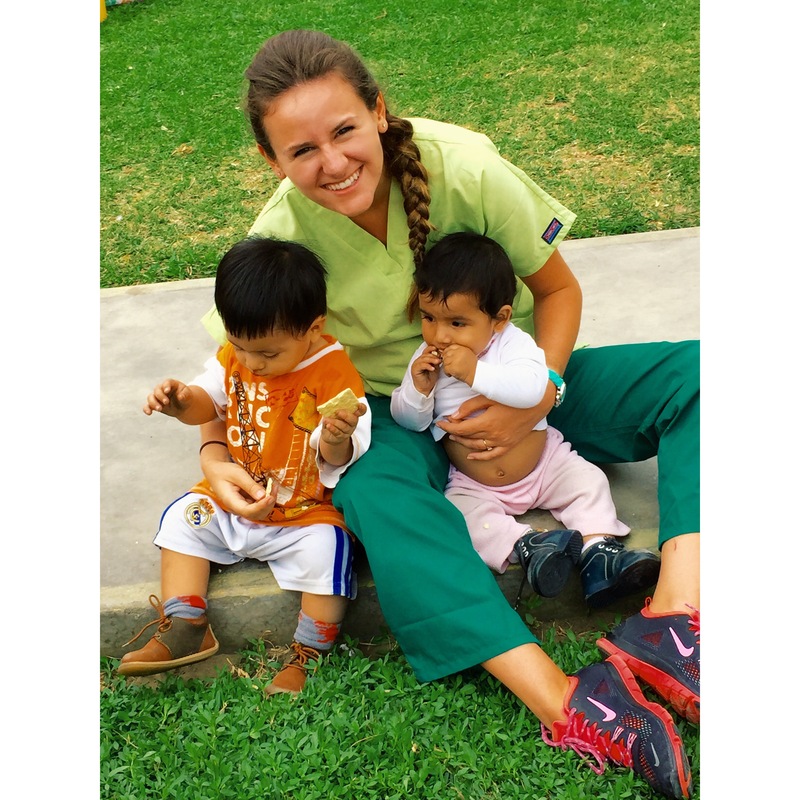 Although I am eager to get the chance to work in the actual clinic and go on home visits, I am so excited to spend time working with the 16 children in the orphanage and improving my Spanish with the nurses. The children, who were either abandoned by their parents or taken away by the courts, have stolen my heart and have already taught me so many lessons. I’ve learned that love has no language barrier. The children do not care that I speak broken Spanish or that I keep smiling when people talk to me because I am only comprehending half of what they are saying (I’m working on comprehending ALL that they say, but it’s a work in progress)! All they want is affection, and trust me they have mine. I’ve learned that I need to practice having patience. Patience with learning and speaking Spanish, and patience with the children. Yesterday I struggled to feed a little boy named Jesus. He didn’t want to eat, and he was content with taking his food and throwing it at me. But a deep breath, a quick prayer, and some patience we were able to get more rice into his mouth than into my hair. Also, incase you are wondering it takes a while to get mashed up rice and chicken out of your hair! 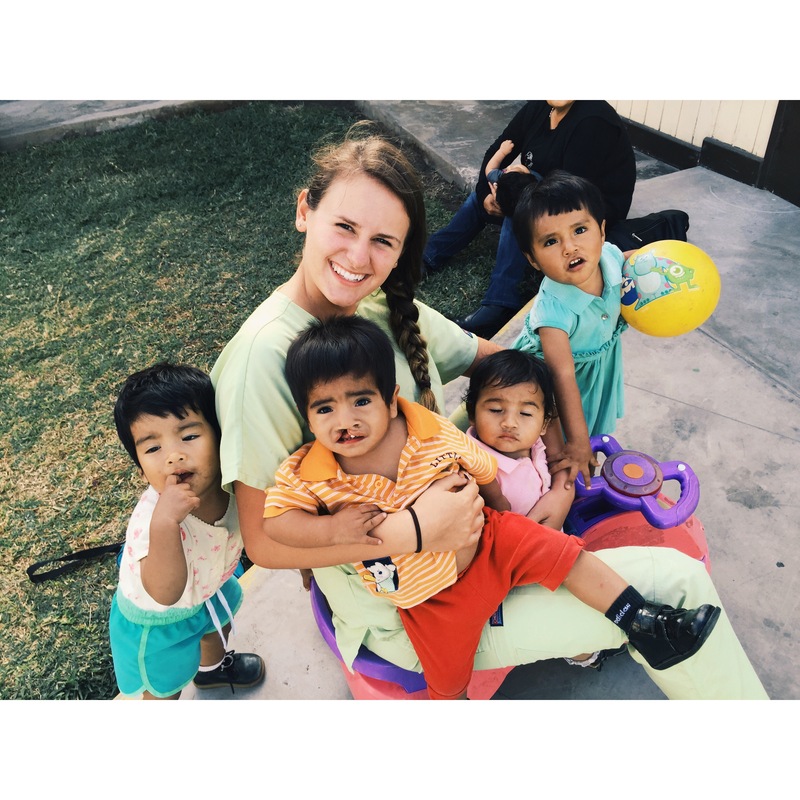 As you can probably tell by the pictures the children and the people of Peru have already stolen my heart. I am so grateful for this experience and all that I have learned in the past few days and cannot wait to see what is next. The last few days, in short, have been HECTIC but in the absolute best way possible! Unpacking from a relaxing family vacation, repacking for this trip, saying goodbye to family and friends, indulging in my favorite treats from local restaurants, and of course celebrating America’s birthday have left me with little time for reflection. With bags packed, good-byes said, and stuffed to the brim with all of my favorite foods, I am now en route to my destination. Over the next 24 hours I will travel over 11 hours by plane and nine by car and bus, leaving me with PLENTY of time to gather my thoughts (and brush up on my Spanish)! 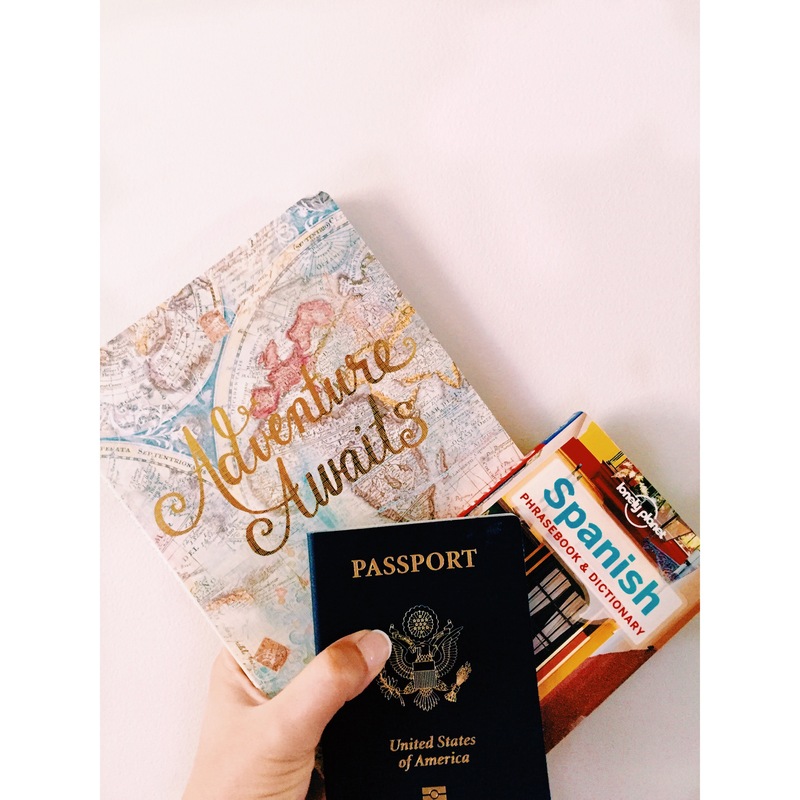 Over the past few weeks I have been looking for signs, something to ease my apprehensions of traveling alone to a different country (especially one that does not speak English)! 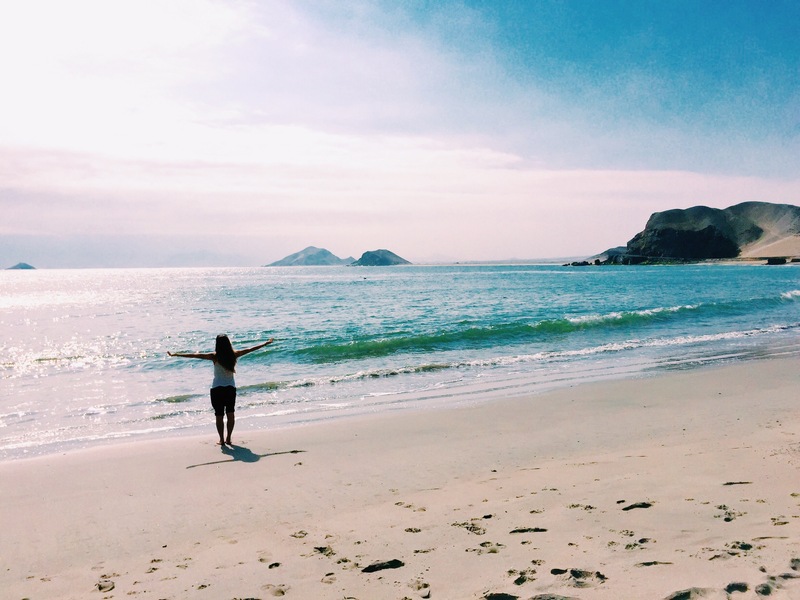 Despite my constant self-reassurance that this is where I am meant be, that I am being sent to Chimbote for a reason, there have been times where I have been anxious about my journey. Faith. All I need, all I have is faith. With faith in my heart I am excited to see where this journey will lead. Also, a special thank you to YOU for following me on this adventure, your faith, love and support mean more to me than you will ever know! In early October I began the process of applying to become a 2015 Father Smith Fellow. I told my parents of my aspirations to spend the summer abroad and my intentions of applying for one of the fellowships which are awarded annually on a competitive basis to ten Providence College students. My parents, who are use to my rather large plans and dreams, said “if it’s meant to be it will happen” which is their nice way of saying “it’s not going to happen, Kaitlyn so do not get your hopes up.” Determined and with my hopes set high, I began searching the internet for Dominicans who were living and serving abroad. A biology and psychology major, my search was directed towards service sites that included a medical clinic. 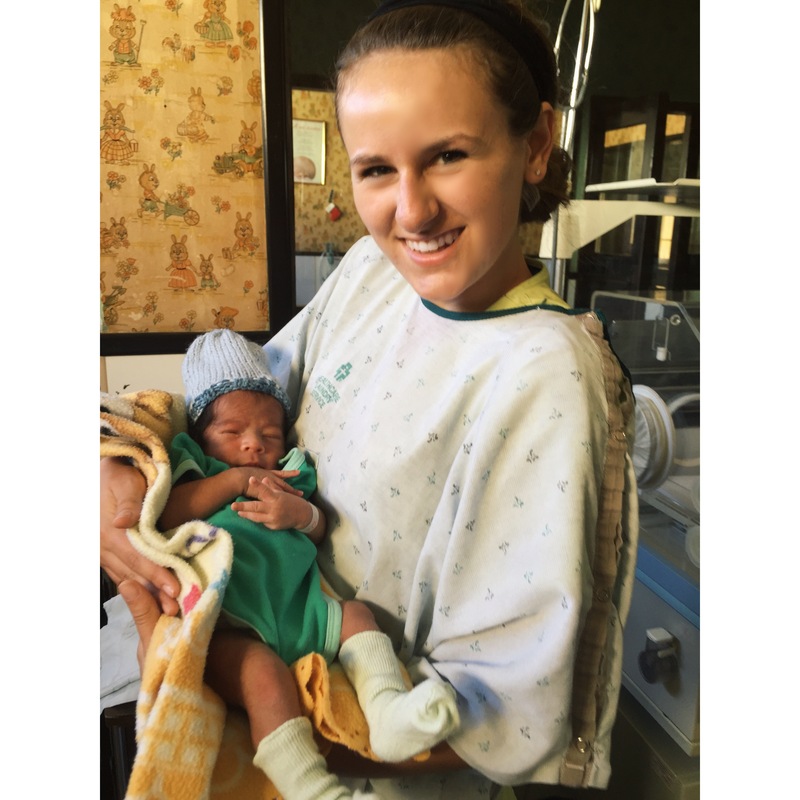 I have always had an interest in third-world medicine and have desired to travel and assist individuals who have inadequate health care. 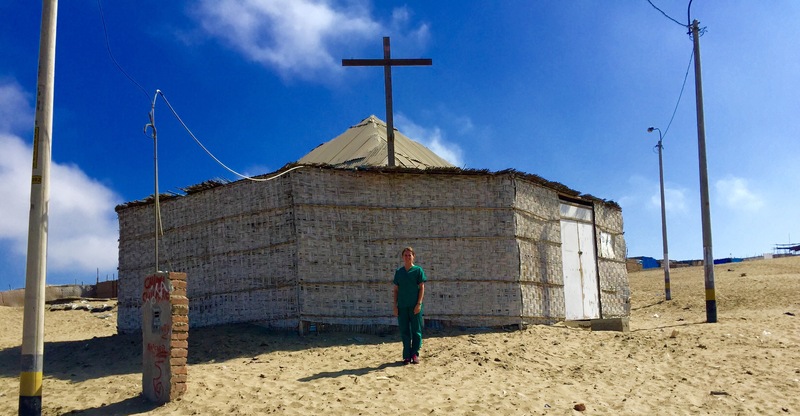 My search led me all the way to Chimbote, Peru and the Centro De Obras Sociales where fellow Friar, Julia Guerette, traveled as a 2014 Smith Fellow. 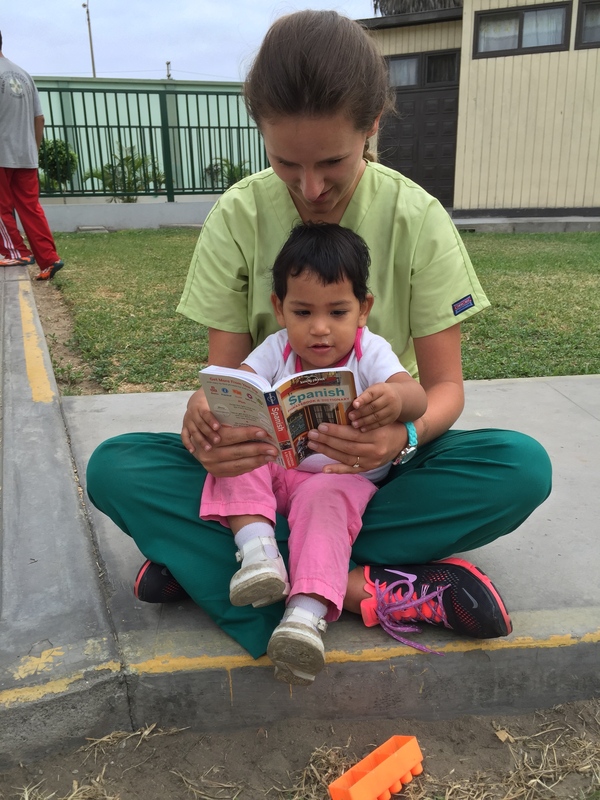 Centro De Obras Sociales was created in 1963 in an attempt to alleviate the medical needs of the poor in Peru. Run by the Dominican Sisters of Grand Rapids, Michigan the clinic, which began as a small three room out-patient clinic, has expanded over the years to provide healthcare as well as spiritual care to the needy. 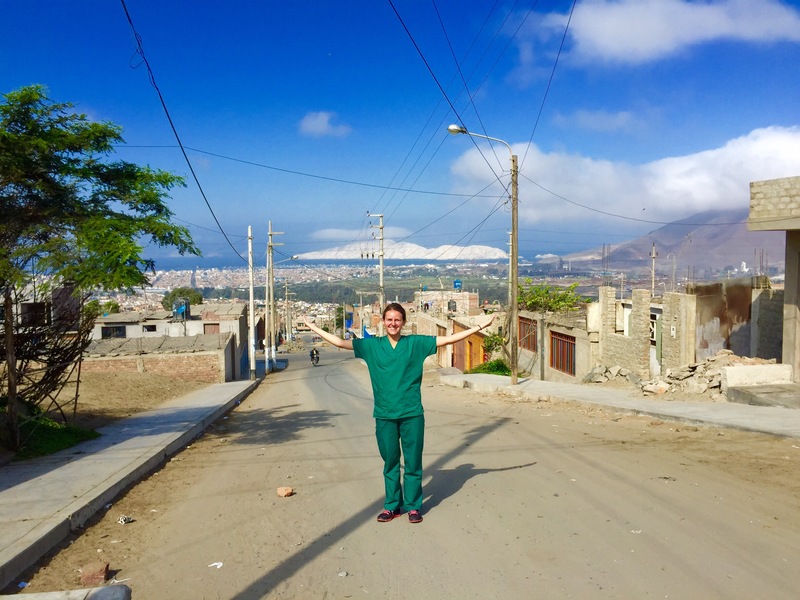 Their mission to “serve the Poor with Christian Charity regardless of their economic status” and “give quality medical care with loving concern for those in need” resonated with me and I knew that, if chosen for the fellowship program, I would travel to Chimbote. Several months, numerous emails to Sr. Lillian in Peru, and many nights spent in St. Dominic’s Chapel praying that it was His will for me to embark on such an incredible journey, I received an email saying that I was awarded a Father Smith Fellowship. With an open heart, accompanied by extreme excitement, I am now preparing to embark on my month-and-a-half-long journey to Peru. I am so humbled and blessed to be representing Providence College and to have this incredible opportunity at the clinic. This blog will serve as my main communication to everyone back home over the next few weeks and will allow me to show everyone what I am doing while I am away, so be sure to check back often!! It’s time for me to say goodbye to Providence and hello (or maybe ¡Hola!) to Peru.